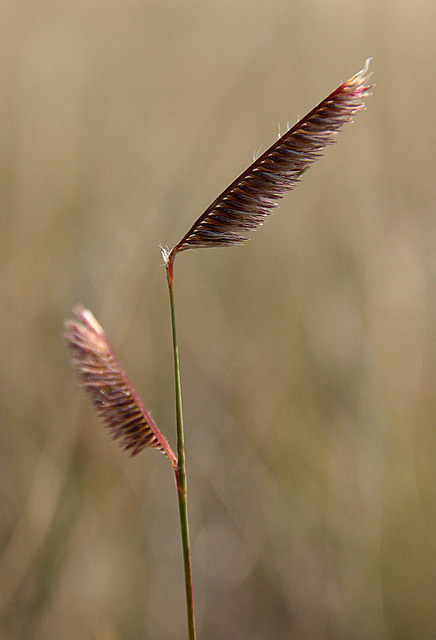 Blue grama grass (Bouteloua gracilis); photo by Varina Crisfield on Flickr (noncommercial use permitted with attribution / share alike). 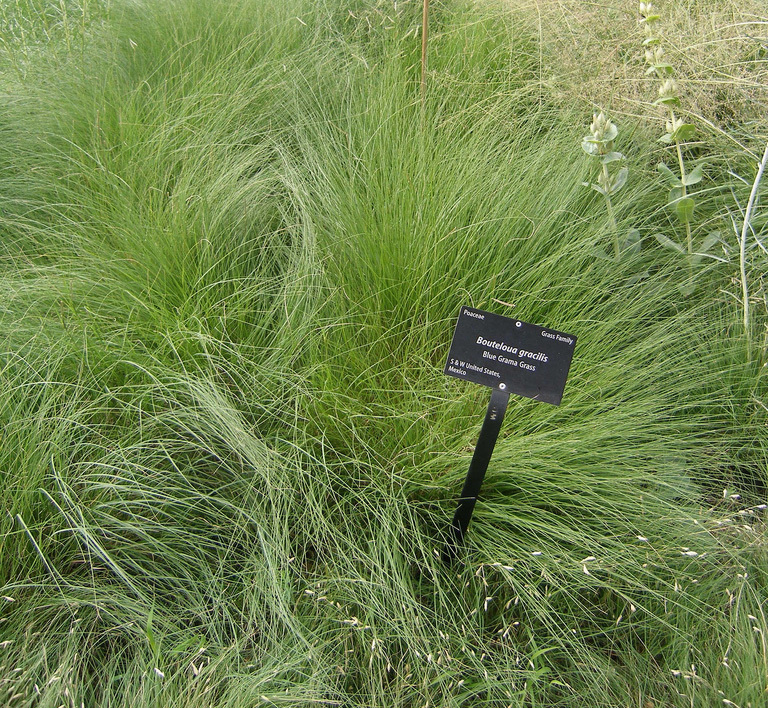 Blue grama grass grows in a variety of habitats including sandy and loamy soils, shallow sites, rocky slopes, bottomlands, and mountain grasslands. Native Americans ground the seeds to make a flour for bread. Blue grama grass at Denver Botanic Gardens; photo by colorado art studio on Flickr (noncommercial use permitted with attribution / no derivative works).